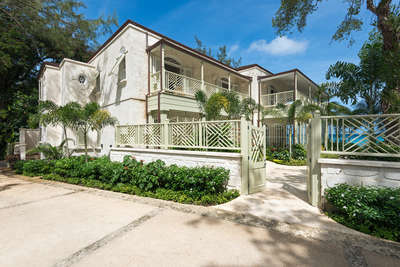 Situated on the prestigious Platinum Coast of Barbados, in the parish of St Peter, this five bedroom, luxury beach villa offers up to ten guests the ultimate in contemporary luxury. Stylish decor and clean lines work in harmony with the prime, beachfront location, offering the perfect retreat for rest and relaxation. 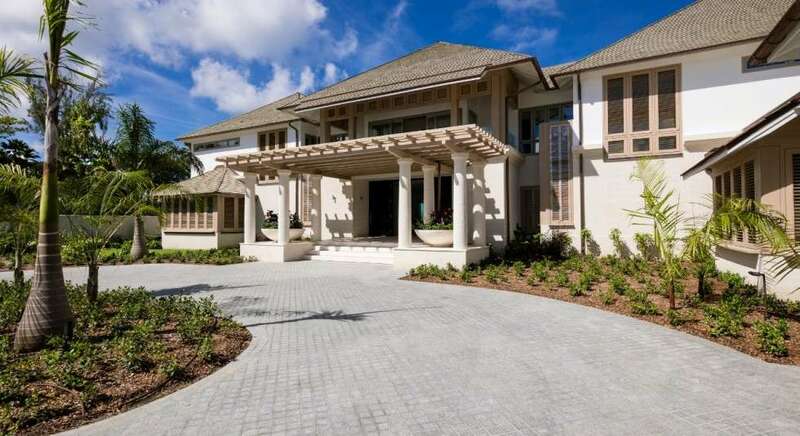 Measuring over 13 500 square feet, this luxury Barbados villa boasts a sleek and contemporary design, the work of local award-winning architects Gillespie & Steel and uses some of the island's most beautiful materials. The clever design brings the outside in, so you can enjoy incredible views of your infinity pool and the sea beyond from the comfort of your spacious, open plan living area. Gated and private, your luxury beach villa combines modern comforts with stylish living. From the Boffi kitchen and designer furnishings, think Ralph Lauren and Christian Liaigre, to the five en suite bedrooms with sea-facing terraces, no expense has been spared to ensure a stay at Godings Beach House is truly special. There is even a state-of-the-art gym, glass-walled study and home cinema room, not to mention a range of top-end water sports equipment. A team of professional staff is on hand at your Barbados villa to tend to your every need. Your private cook will tailor menus to your exact taste, while your house manager can arrange everything from unforgettable dining experiences at some of the island's most exclusive restaurants, to sunrise yoga sessions and stand-up paddle boarding adventures. A double staircase with feature Verpan seashell chandelier leads upstairs to five spacious en suite bedrooms. A few have four-poster beds dressed with white linen, and all have American oak flooring, Ralph Lauren bed stools and a smattering of other unique design pieces. Each bedroom has a walk-in dressing room, private terrace and luxury bathroom furnished with Hansgrohe rain shower, mosaic tiles from Ann Sacks and marble vanities. The master suite's large bathtub sits at the base of a floor-to-ceiling window offering sweeping garden views down to the beach. The main entrance with Holly Hunt consoles leads to the living area which is open plan and spacious with neutral tones, pale limestone flooring and an impressive local coral feature wall. Large windows make the most of the surrounding sea and pool views. The living and dining areas are furnished with designer pieces from the likes of Maxalto, Christian Liaigre and Ralph Lauren as well as a pair of B&B Italia sofas. The stylish Boffi kitchen is fully equipped with all mod cons, a large breakfast table and a wall-mounted television. There are a few dining options to choose from. Dine inside, around the grand bespoke Whetstone Oak dining table, or alfresco, on one of two shaded dining areas for delicious lazy lunches or an evening barbecue under the stars. Your personal cook will be happy to tailor menus to your party's preferences, using the designated chef's kitchen. The house also offers a glass-walled study, a state-of-the-art gym and a media room where film fans can enjoy access to every movie on iTunes and Netflix, streamed directly from their iPad or iPhone to a large cinema screen. These rooms boast stunning coastal art pieces by Nicola Bealing, one of Simon Nixon's favourite artists from Cornwall, and Guy Leclef, who Simon discovered on a sourcing trip to Maison & Objet in Paris. SONOS is also available in all main rooms for music streaming. Godings Beach House sits in approximately 1.2 acres of landscaped gardens, featuring two shaded dining areas and a yoga pavilion. With plenty of spots to enjoy a perfectly mixed cocktail, palm trees and scented shrubs scatter the grounds, with a pebbled path leading directly to a protected beach where you might be lucky enough to witness newly hatched turtles making their way to the sea. For healthy infusions, pepping up salads, or botanical cocktails, the herb and Caribbean spice garden is brimming with fresh mint, basil, coriander and ginger.